When life starts throwing lemons to you, you don’t start making lemon juice out of them. Instead, you escape the lemons to a picturesque farmhouse that has tranquility written all over it and entertainment you effortlessly find in. Moreover, time will be a treat of its own kind, if real time friends are all together. 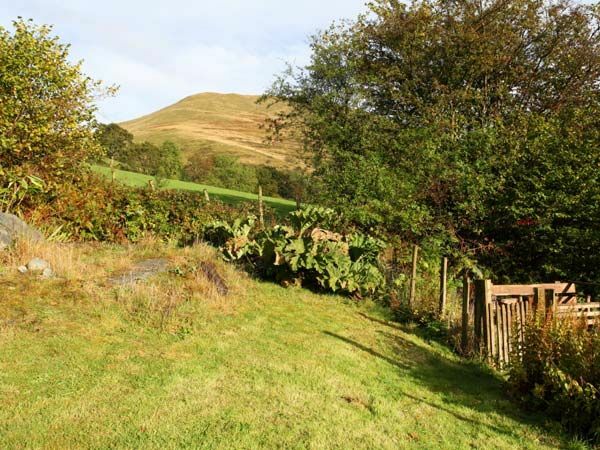 The Sykes Cottages property, Ysgubor in Dinas Mawddwy near Dolgellau Wales is one such heavenly place that instantly sets you in your comfort zone. With parts resembling the 17th century structure, Ysgubor avowals a perfect combination of the old world character and new build convenience. 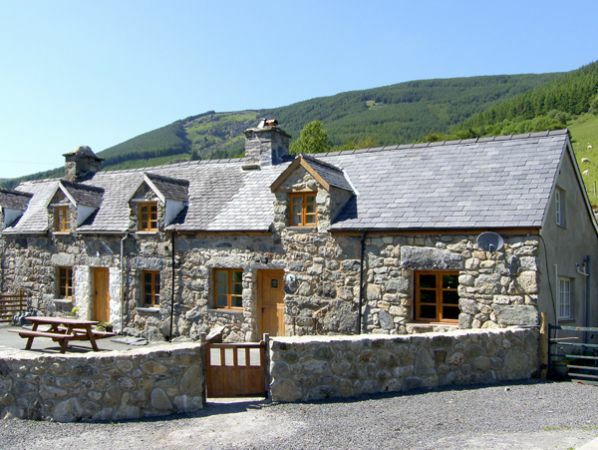 Nestled in a perfect away-from-it-all location, the self-catering property, commands panoramic views over the surrounding mountains and hills – Cader Idris and Aran in particular. 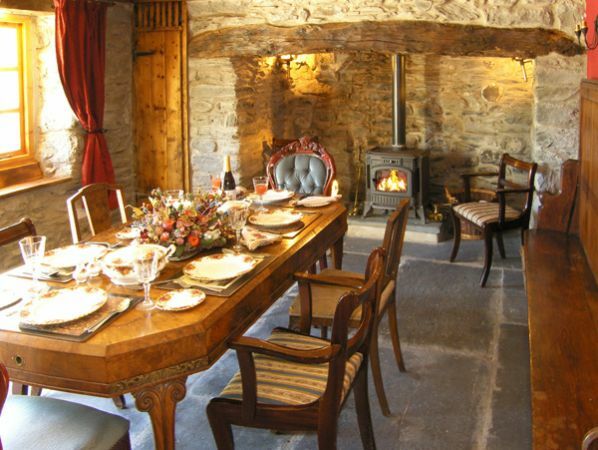 Situated on a 500-acre organic farm, Ysgubor showcases the natural wealth of magnificent oak beams and doors, exposed stone walls, a lovely inglenook fireplace and slate flagged floors. 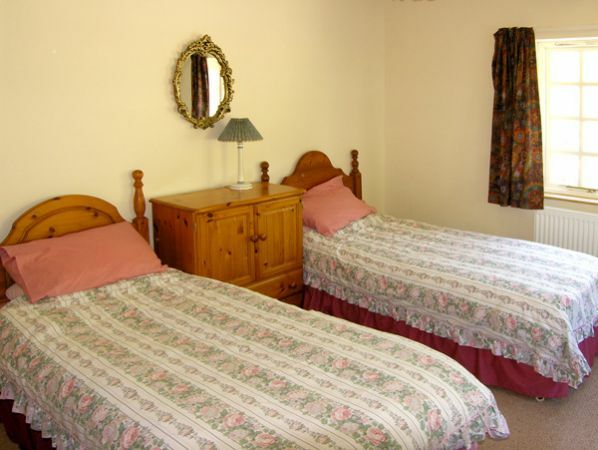 With a four poster bed, with all modern facilities, the fascinating holiday homes offers you warmly welcome. Built with the 5 Bedrooms and 4 Bathrooms, this two floor property boasts the spaciousness and its ability to provide unmatched comfort and entertainment with world-class facilities. Ysgubor has 3 bedrooms; 1 king-size four poster bedroom, 1 double bedroom and 1 twin room, at the ground floor and 2 bedrooms, 1 double bedroom and 1 king size double bedroom, at the first floor. 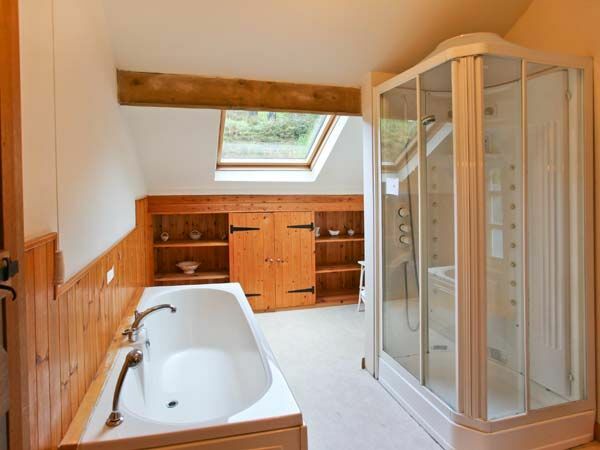 With 1 en-suite double-ended roll-top bath with shower over, Ysgubor has bathroom with shower on the ground floor. On the first floor, it has a double-ended bath with mixer hand shower as well as separate Jacuzzi Whirlpool, all body jet shower with seat and a hot bath tub. Spacious fitted kitchen with dining area reignites your love for the cooking and romance with the delectable dishes. 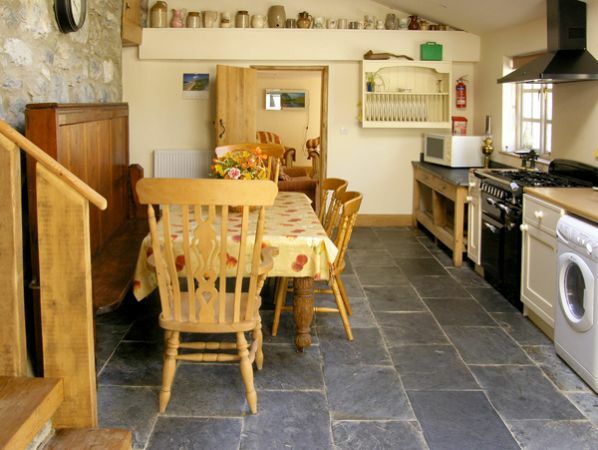 Ysgubor kitchen is equipped with Rangemaster and wood burning cooker, microwave, 2 fridge/freezer, washer/dryer, dishwasher, 42″ flat screen TV with Freeview and DVD, WiFi. An inexplicable holiday experience is guaranteed. 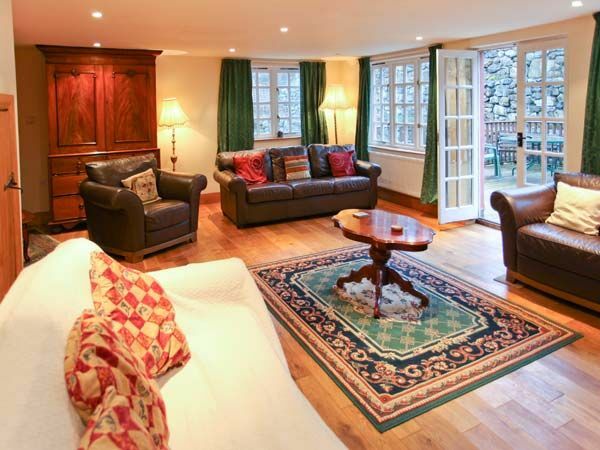 The property also has separate and large sitting room with French doors to decked area with 42″ flat screen TV with Freeview and DVD plus WiFi takes care of your fun time. 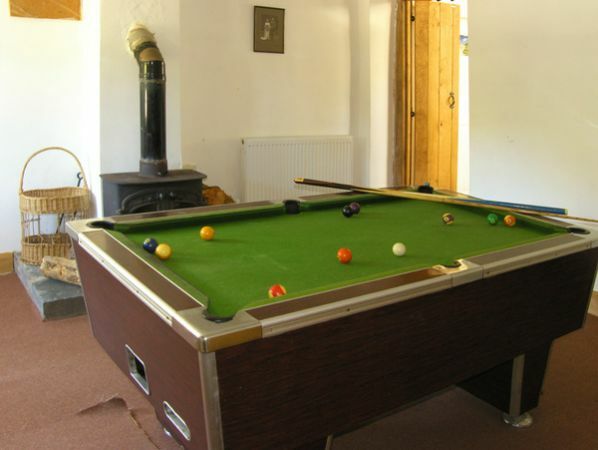 It also offers a vast playing area with pool table. Perfect location for strolling and biking around, Ysgubor gives you an opportunity to try free trout fishing in the owner’s lake. 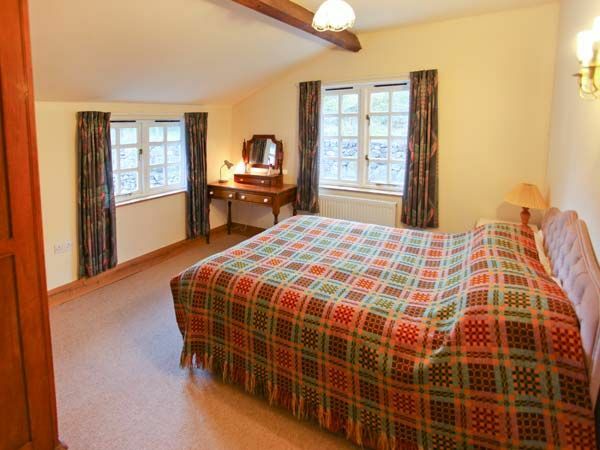 Let us make it a more memorable experience offering 10% flat discount this autumn. 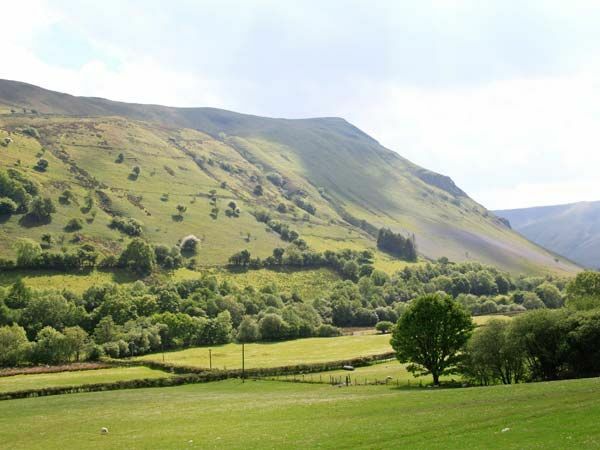 Don’t waste time, book now and give yourself a carefree ride of the time.